Which one? I choose Suikoden II. It's the best Suikoden ever created, IMO. The story is touching and never makes me bored to play it again and again..
for me Suikoden 2 is the Best! for me no one can match suikoden 2 story! SUIKODEN II is the best..
there's no one chose four of them..
suikoden II os the best after all..
i've play it till i know all about that suikoden series..
Don't play it till the end. But still the pioneer of great RPG game series. 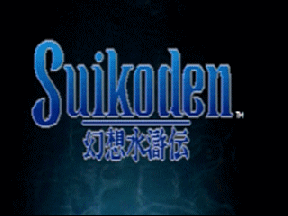 I love suikoden 2 too. But for me,the most favourite is suikoden 3.
nice soundtrack opening, go Exceeding Love! Suikoden II is the best!! make me like in the other world..